Some of you may remember playing this game/reading the books as a child. 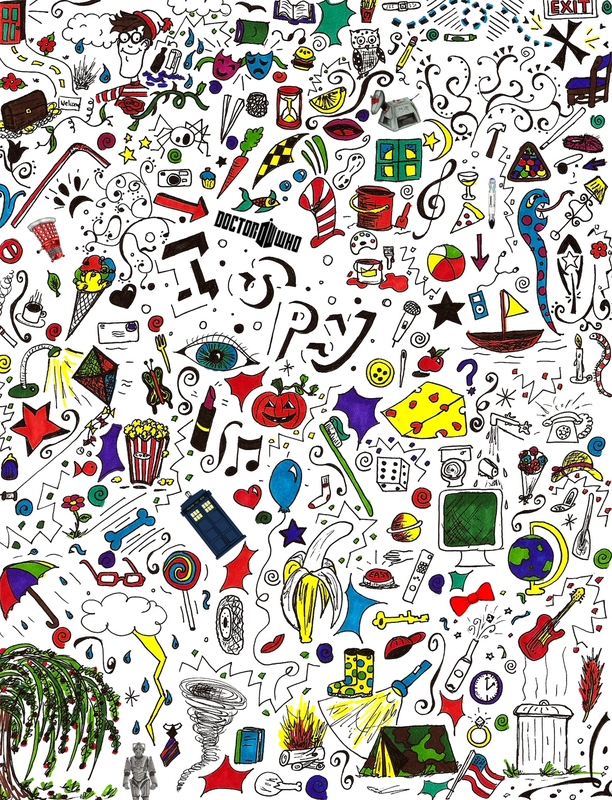 I have turned a I spy picture into a Doctor Who I spy – try and find all the items listed – Good luck! This entry was posted in art, BBC, creative, Doctor Who, Entertainment, free, Freebie, funny, games, pictures, Television, TV, Uncategorized, whovians and tagged BBC, dalek, Doctor Who, Entertainment, free, fun, games, I spy, TARDIS, TV. Bookmark the permalink.